Preheat oven to 375°. Combine ricotta cheese, 1 cup mozzarella cheese, 1/4 cup Parmesan cheese and eggs in bowl; set aside. Spread 1 cup Sauce in 13 x 9-inch baking dish. 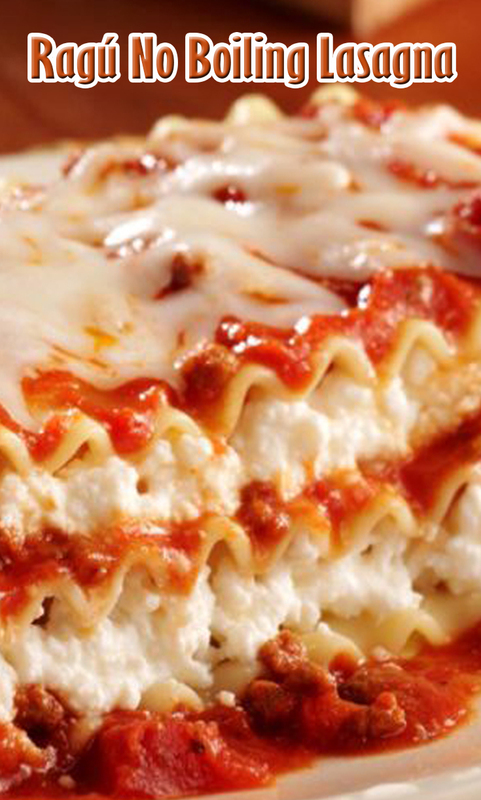 Layer 4 uncooked noodles, then 1 cup Sauce and 1/2 of the ricotta cheese mixture; repeat. Top with remaining 4 uncooked noodles and remaining Sauce. Bake 1 hour covered tightly with aluminum foil. Remove foil and sprinkle with remaining mozzarella and Parmesan cheeses. Bake uncovered an additional 10 minutes. Let stand 10 minutes before serving.